Whether you’re devoted to fashion, or are entirely indifferent to the clothes you put on each day, it’s no secret that what you wear can have a significant impact on your mental wellbeing. Whether you bundle up in your favourite faux fur coat on a rainy day, or don a well-loved pair of jeans for a date, the right clothes can lift our spirits, boost our confidence and allow us to reinvent ourselves completely. With spring in full swing and brand new range of sartorial possibilities upon us, we caught up with fashion psychologist and author of Mind What You Wear: The Psychology of Fashion Professor Karen Pine, who has just launched a white paper entitled ‘Long Live Clothes’ in collaboration with Comfort, revealing why caring for your clothes can be profoundly good for your mental health. These are some reasons why the choices you make with your everyday clothes is the self-care movement you need to know now. While dressing to impress others is important, the effects of clothing go much deeper than that, as research shows that people prefer to make a positive impact on themselves, rather than trying to impress others. In the global survey, respondents were asked, ‘Who do you most dress to impress?’ and the response that came out top, consistent in each of the countries tested, was ‘Myself’, which shows how you feel in your clothes should be your primary focus, not how you are perceived by others. The study also revealed that two-thirds (64%) of Brits believe that how they dress can make them feel better about themselves and boost their mood. When dressing for the day, try to think about the sensory aspects of the clothes that you wear i.e. how they look, feel and smell, as all of these aspects can have a positive impact upon your emotions. Poor mental health has been associated with failure to maintain self-care practices and small changes can make a huge difference. By starting small and focusing on simple things like the daily ritual of choosing and caring for your clothes you will make huge steps towards taking care of yourself, as to neglect one’s clothing is to neglect oneself. Having established that most people want their clothes to make them feel more confident, we looked at which emotional states they associated with fabrics. A majority in the study associated feelings of calm with cotton (41%) and linen (31%), compared to just 5% for nylon, proving that natural fibres have stronger associations with positive emotions than man-made materials. Arguably, natural fibres feel better next to the skin, nurture us more than man-made fabrics, and capitalise on our intrinsic affinity with nature. Next time, if you are feeling down or stressed, why not try putting on a cotton t-shirt as opposed to a nylon blouse. While six-inch heels are great for making a statement, you’ll be far more confident in clothes you actually feel comfortable in. Whether you are going on a date or an interview, choose clothes that make you feel like yourself. This is true of millennials as the study showed that 1 in 5 have stayed in, hidden or kept out of sight because they disliked their outfit. The key to dressing confidently is to feel comfortable in your clothes. Research has shown that adding a splash of colour to your outfit is a great way to boost your wellbeing and self-esteem. If you aren’t feeling your best, try not to stick to neutrals. Boost your mood with bright, vibrant colours that make you feel good. Some shades have even been proved to instil a sense of calm when things feel hectic. If you don’t feel confident in brighter hues, why not try adding a pop of colour to your outfit with your accessories. Pairing an otherwise neutral outfit with a bold accessory is a great way to add texture and make you feel confident. Whether it’s a statement necklace or a scarf or bright lipstick, pairing every outfit with an accessory is a great way to boost your mood. Bright colours can also brighten your complexion which will leave you feeling and looking even better. According to the research, Brits are the most attached to their personal look with many (34%) admitting that the prospect of changing their clothes makes them nervous. Despite this, many of us are reluctant to develop a signature style. Clothes are a great outlet for revealing your identity, which is key for building self-confidence. 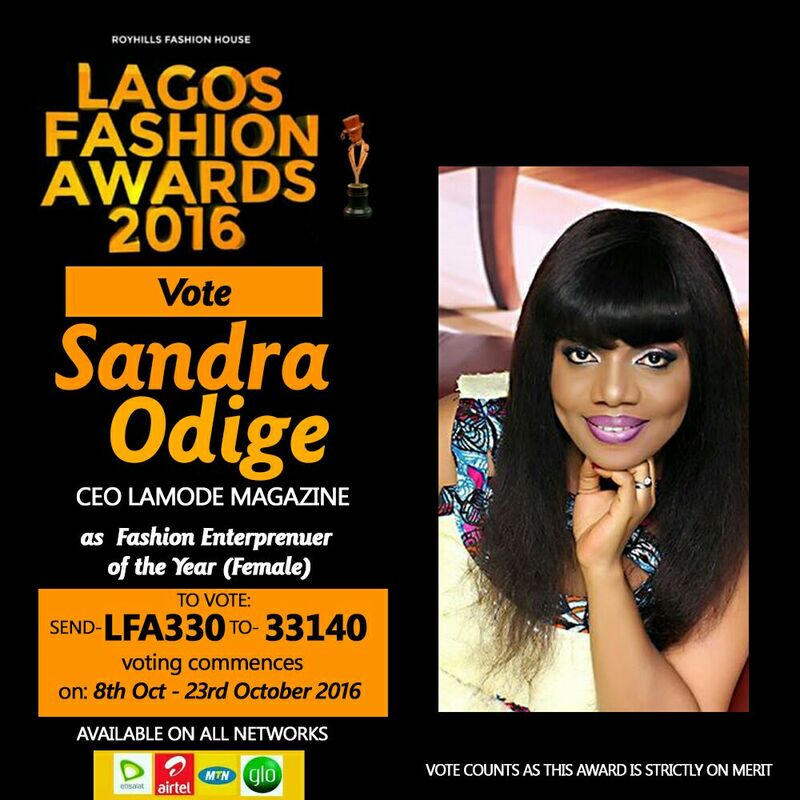 Sandra Odige : Nominated “Lagos Fashion Awards ” Fashion Entrepreneur Of The Year ! Meet One of Nigeria’s Fast Growing International Designer Agatha Moreno of pjjd! !